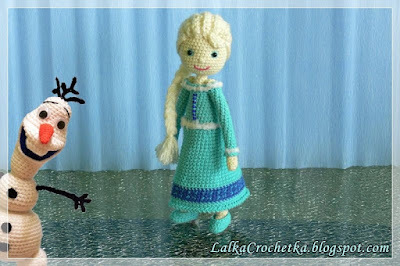 A couple of weeks ago, in preparation for our youngest's 2nd birthday, I had just finished making a Crochet Olaf from Frozen. 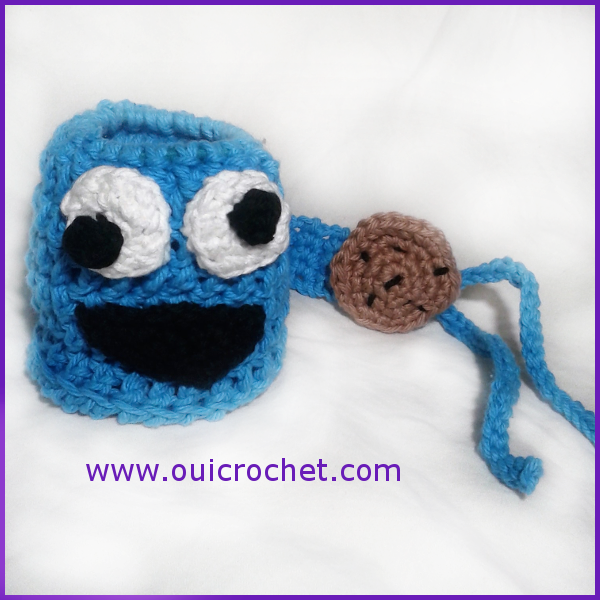 No sooner did I finish Olaf, did our 5 year old jump in my face come up to me and insist ask me to make a crochet Cookie Monster for her sister. " She neeeeds one for her birfday!" Well, I don't know about you, but for me, when I finally finish an amigurumi project, I like to wait a little while before taking on another. But, come on. How can you argue with such a sweet request? The answer is: You can't. I had already planned to make some sort of sippy cozy to control the condensation problem when I stuck a sippy cup in the side of my purse. I also wanted to incorporate a strap similar to the sippy strap I had made before. The only thing I was stuck on, was a design. Well, here it was! Cookie Monster! 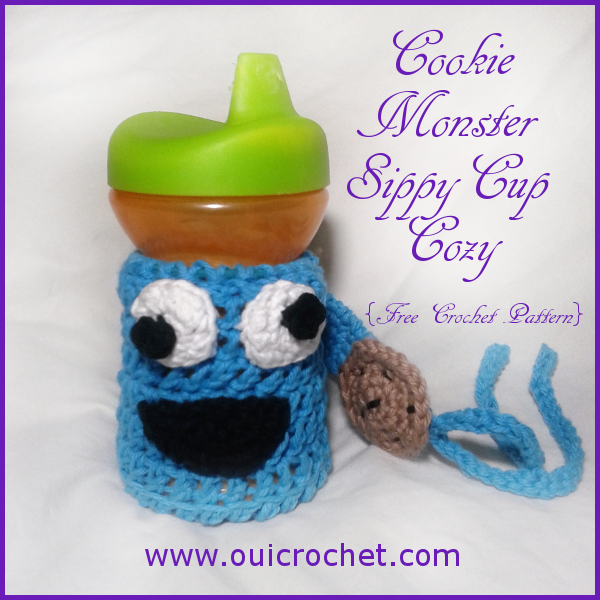 The great thing about this sippy cozy is that it can easily be adapted to any character or design you wish. You can have fun playing with different color combinations, too! Warning: Due to variances in crochet technique, strap length may be too long, posing a strangulation hazard. Please keep this in mind, and shorten the strap, if necessary. Use finished product only under close adult supervision to avoid strangulation. With yarn attached to hook, sc 24 around the ponytail holder. Join to back loop of the first sc. Put your stitch marker in the front loop of the same joining stitch. We will come back to this stitch later. For the tie: ch 25, sl st in the second ch from hook and in each remaining ch, sl st in next 2 sc sts, ch 25, sl st in the second ch from hook and in each remaining ch, sl st in next sl st.
Reattach yarn to the marked loop. Finish off leaving an extra long tail for sewing closed. With yarn needle, sew long tail through remaining 8 stitches to sew closed. Mark first st in each round, moving up with each round. 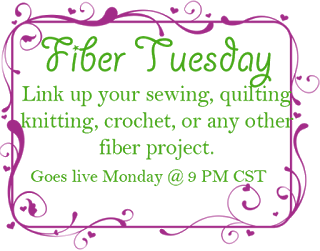 Use darker yarn to sew to embroider chips while sewing to strap. With black yarn, ch 2, sc 4 in second ch from hook. Join with sl st to first st. Finish off leaving long tail for sewing. With white yarn, ch 2. Sew the "centers" off center on each eye. Position eyes on the cozy and sew in place. Weave in ends. Position mouth on cozy and sew in place. Weave in ends.